All of the above are definitely yawn-worthy, but as customers, we want to receive them all the same. Transactional emails offer us peace of mind. For this reason, they are among the most opened emails in any campaign plan. So why not use transactional email to your advantage? Become less yawn-worthy and more WOW-worthy. In this article we are going to present 4 great reasons to include transactional email in your campaign plan, and tips on how to do it better than any one else! Personalised emails make customers feel special. Automated emails make customers feel secure. 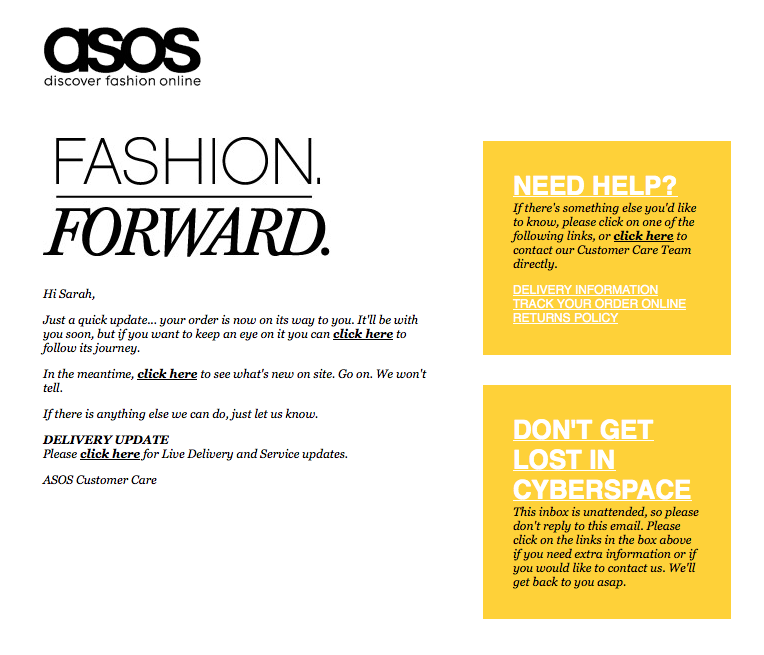 So, as you can imagine, personalised automated transactional emails (try saying that three times fast!) will help to strengthen your relationships with customers. The sole purpose of this email is quite simply to say ‘thank you’. The business is not trying to gain from the email, it is simply a gesture of goodwill which will give customers peace of mind and be very much appreciated. Every business in the world has one common goal: to increase revenue. And, studies have found that transactional emails actually have a higher revenue per email than bulk mail averages. ‘In the meantime, click here to see what’s new on site. Go on. We won’t tell’. The copy is cleverly written and the upselling is so subtle that it doesn’t disrupt the reader at all. It simply gives out the message: ‘if you want to shop more, then go ahead. If not, here’s some useful information’. All emails, whether transactional or otherwise, have the potential to make or break your brand’s relationship with a customer. The first email any customer receives from you should be transactional, presumably a welcome email, and this should set the tone for your relationship with the customer. Transactional emails help to build a positive brand reputation because they are instantaneous and thoughtful, which presents your company as professional and trustworthy. You can also build your reputation by simply asking for feedback within your transactional emails. Transactional emails have one of the highest engagement rates, therefore they offer a great opportunity to ask for feedback. 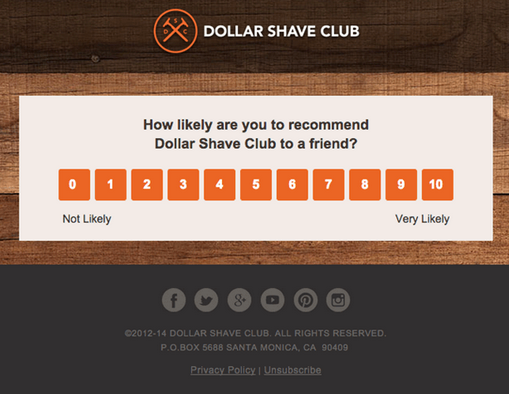 This Dollar Shave Club survey is simple and doesn’t demand much from the recipient. Another way to build a positive brand reputation is to include links to your social sites within your transactional emails, or even a live social feed. 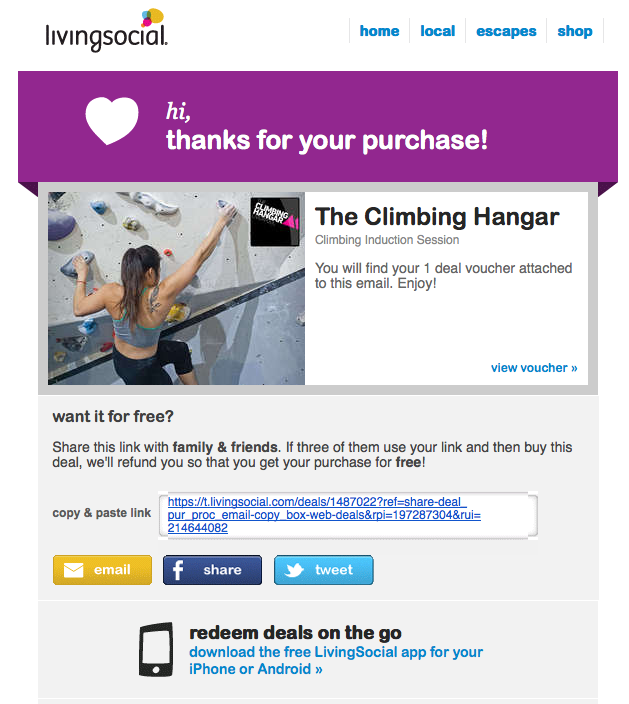 Studies show 75% higher click rates for welcome emails with live embedded social feeds. The engagement levels of transactional emails will always be high because they will, more often than not, include information that is very valuable to the reader. However, there is nothing to stop you from increasing the engagement levels of these emails in order to add value for your company as well as for the customer. 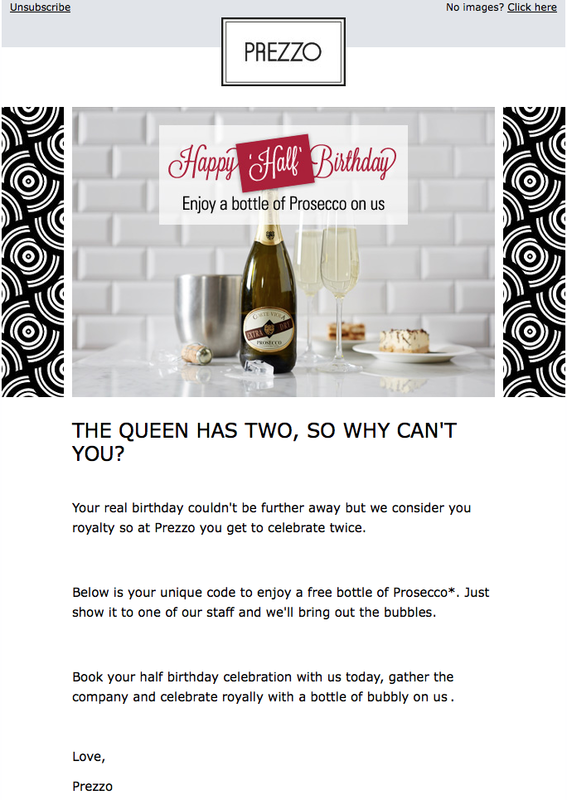 This is a perfect example of increasing customer engagement through transactional email. The copy is informal and engaging, the image is eye-catching, and it’s clear that a lot of thought has gone into the message. There’s no reason not to include transactional email in your campaign plan. However, to really get value from your transactional emails you need to put as much thought into them as you do for promotional emails. If you create your emails with engaging copy, interesting images, and take advantage of the right moments to upsell, then there’s no reason why your transactional emails can’t produce as much, if not more, ROI than any other email in your campaign plan.